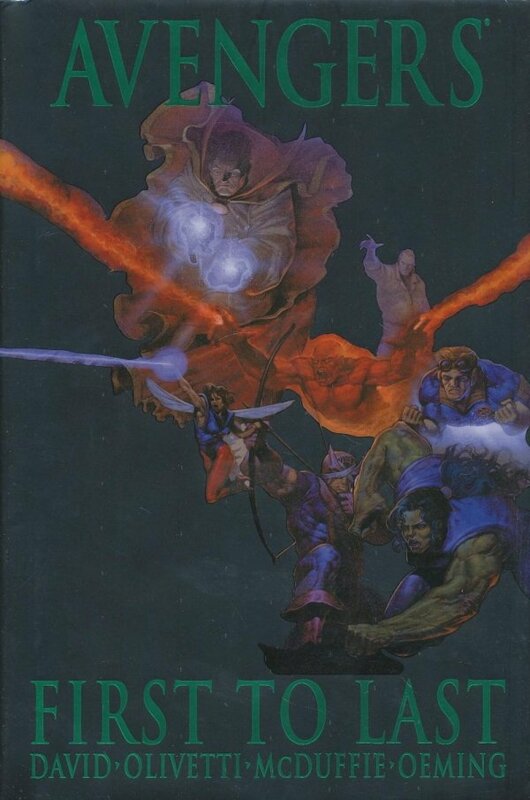 They are the last of the Earth's Mightiest Heroes: Hawkeye, the blinded archer; the Wasp, pint-sized dynamo cursed with an incurable shrinking disease; Cannonball, mutant X-Man and Avenger; and former Ant-Man, former Giant-Man, former super hero Hank Pym, the last man who would have volunteered to lead them. They're not the strongest, but they are the only hope in the final battle against the greatest enemies of mankind. They are the Last Avengers. United, they will fall. This is THE LAST AVENGERS STORY. Also featuring timeless tales shedding new light on the early days of Earth's Mightiest Heroes: the Hulk, Iron Man, Captain America and Thor! In these previously untold stories, the six founding members vie for chairmanship of the team, Bruce Banner fears the Hulk's rage may have gone too far, Iron Man unveils his latest suit of armor, Captain America adjusts to life in the modern world, a WWII veteran reminisces about an early meeting between Cap and Thor, and more! 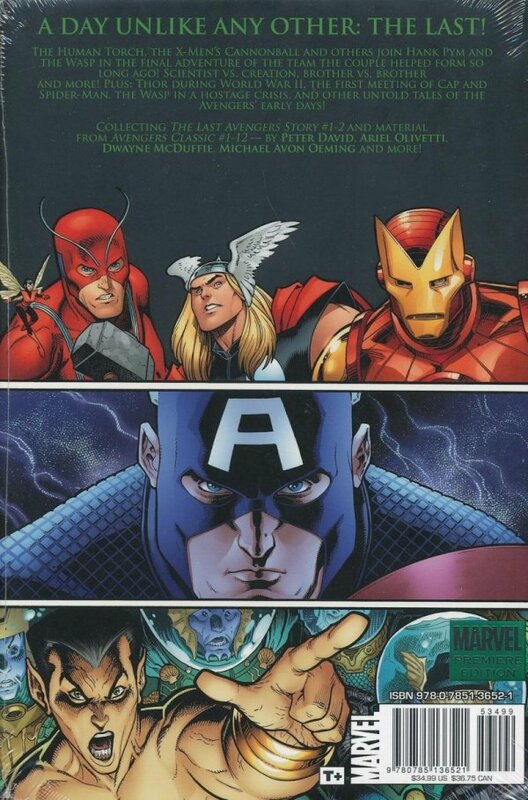 Plus: Marvel's founding father, Stan Lee, tells the "real" story of how the Avengers became a team!